Could Robotic Bees Be The Next Step In Pollination? Hardly a day goes by where you don't hear about, see, or read somewhere something that just flat out makes you stare or shake your head in disbelief. Each time you say to yourself nothing surprises me anymore, you're sadly mistaken. Well, add to that list of "what the (fill in the blank)?" robotic bees. Why robotic bees, you ask? Well, apparently, in order to fill in the gaps between our own dwindling bee populations and the need for pollination to continue on schedule, should we wish to continue eating and enjoy flowering vegetation. 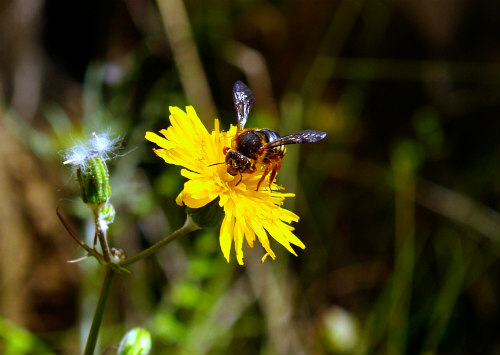 You see, according to the U.S. Department of Agriculture, roughly three-fourths of the world's flowering plants and about 35 percent of the world's food crops depend on pollination in some sort by some animal or insect. Bees play a huge role in this. So, before your imaginations run off with you too far, you can stop envisioning a little steampunk bee with revolving brass gears. The robotic bees the Japanese have in mind are actually tiny drones they want to send off on the winds to supplement our current bee populations, which as mentioned earlier are dwindling — to the extent that just last month the U.S. Fish and Wildlife Service actually listed a species of bee as being endangered for the very first time. Now, never let it be said that the Japanese are not immensely creative, tireless inventors and grossly imaginative. Leave it to them to solve problems in countless innovative ways, and this latest idea of mini drones covered in horsehair and sticky gel just might turn out to be one of them. The researchers, headed by Eijiro Miyako, say they have already taken the first steps needed for creating a robot that can assist in world pollination where other insects leave off. 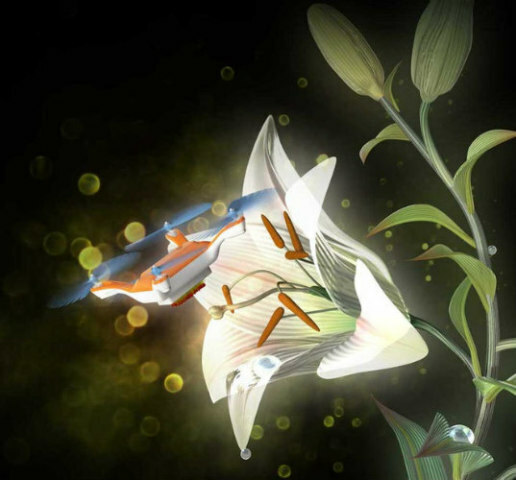 This is to be accomplished through the use of a sticky gel that allows a matchbox-sized drone costing $100 to lift pollen from one flower and deliver it onto another flower in order to aid in plant reproduction. "This is proof of concept — there's nothing compared to this," says Miyako, study leader and chemist at the National Institute of Advanced Industrial Science in Tsukuba, Japan. "It's a totally first-time demonstration. 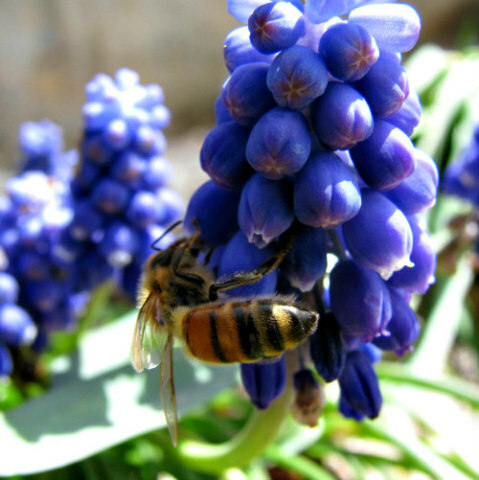 Some robots are expected to be used for experiments in pollination, but no one has tried yet." As with many scientific inventions, one of the key factors in making this project a success is an ingredient that was considered a failure in another application. It all started out with a gel that was shelved for nearly 10 years after not making the grade. Much to Miyako's surprise, after eight years the gel hadn't dried out and it was still sticky. As luck would have it, this acquaintance with the gooey material happened to coincide with Miyako being exposed to a documentary concerning pollinators of the insect variety. During an interview with Live Science, Miyako stated, "I actually dropped the gel on the floor and I noticed it absorbed a lot of dust and linked everything together in my mind." The gel, as it turned out, had just the right level of stickiness for its newly intended purpose, which is to pick up pollen and still be able to let it go. It isn't just the tackiness of the gel that's important in the equation for a successful bee imitator. There needs to be a certain percentage of hair involved as well for more even distribution. In this case, the group chose horsehair to help spread the wealth of pollen. When asked, Miyako admitted there are limitations with the technology insofar as piloting the drones at this point, but he feels that both GPS and artificial intelligence could eventually be incorporated to automatically guide the little robo bees to their intended targets. Before the drones can be put into use, two things will have to happen: First, the price will have to be reduced and, second, the battery life of only three minutes will have to be significantly boosted. While it's great that we are finding ways to deal with the serious problems that face us, which are often times man-made, it would be even greater if they didn't become a problem in the first place.